Heartburn is a painful burning sensation experienced in the chest due to the reflux of acid from the stomach to oesophagus. The reflux is a result of relaxation of the lower oesophageal sphincter which is usually triggered by poor diet and lifestyle. Though heartburn is a very common gastrointestinal disorder which can easily be treated with home remedies or OTC drugs, its ignorance can lead to the development of a serious chronic form called gastro-oesophageal reflux disease. Chamomile is a plant from the daisy family which is used to prepare medicines for the treatment of several common digestive, heart, and sleep disorders. There are two varieties of chamomile being used for therapy-German chamomile and Roman chamomile. While the two kinds are found to have similar effects on the body, the difference lies in the usage in different parts of the world. For example, the German variety is more commonly used in the United States as compared to the Roman one. Apart from being used commonly for gastrointestinal disorders such as heartburn, gas, nausea, vomiting, and diarrhea, chamomile is also used as a folk remedy for mouth ulcers and cancer prevention. Its flower tops are used in the preparation of teas, liquid extracts, and capsules. The herb can also be applied directly on the skin as a topical medicine and its extract can be used as a mouthwash. Chamomile is a popular homeopathic and folk medicine used as a pediatric medicine to ease stomach pains, inflammation and indigestion due to its properties to soothe and relax smooth muscles of the intestines. However, it does more than just relaxing the smooth muscles to cure gastrointestinal problems including heartburn, which is evidenced by its constituent medicinal flavonoids and other such compounds. Acid reflux in the oesophagus causes the mucous wall of the gut to corrode, which activates various reactive oxidation mechanisms in the oesophageal lining leading to increased damage and pain. This oxidation can be prevented and treated by consuming foods with antioxidative properties and chamomile is one such herb. Analysis of Roman chamomile components revealed that it contains up to 1.75% volatile essential oil, consisting mainly of tiglic and angelic esters and chamazulene. Other flavonoids such as apiin and apigenin, compounds called coumarins and phenolic acids, all of which have potent antioxidative capacities. 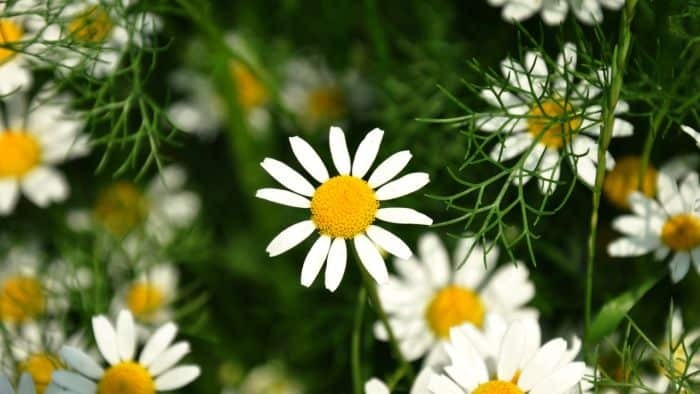 Investigations of the mechanism for the antioxidative functions of chamomile revealed that the constituents of this herb are involved in inhibition of an important enzyme called cytochrome P450. 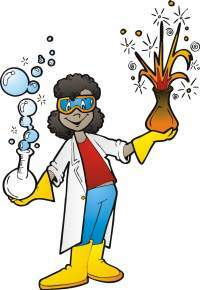 This enzyme is important for clearing out toxic materials from the body by activating their oxidation. Paradoxically, this enzyme also metabolically activates certain stable inert molecules into highly reactive species which interact with normal cellular compounds to cause damage, cell death, and even cancer. The components of essential oils of chamomile and even just the flower tops can inhibit the functioning of cytochrome P450 enzyme system to prevent the oxidation and damage in the oesophagus caused by acid exposure. The reflux of acid in the oesophagus causes inflammation which is the major cause of the painful burning sensation, a classic symptom of heartburn. This inflammation is caused by the damage induced enzyme called cycloxygenase-2 or COX-2 which initiates the Arachidonic acid-mediated production of prostaglandins, the major inflammatory molecules. Research on aqueous extracts of chamomile suggests that its components possess a major inhibitory activity on the COX-2 enzyme, thus preventing the production of prostaglandins. Chamomile reduces the protein expression of COX-2 on the whole and shows a tissue regenerative ability which is a marker for the enhanced healing process and reduction of inflammation. Certain constituents of chamomile which show anti-inflammatory activity include bisabolol, chamazulene, dicycloether and matricine amongst many others. Thus, chamomile can be considered an important anti-inflammatory agent which functions to ease the pain caused by heartburn. The anti-inflammatory and anti-oxidative effects of chamomile are accompanied by its wound healing properties by which it helps in faster tissue regeneration. In heartburn, acid damage produces wounds and ulcers in the gastrointestinal wall, leading to further inflammation and pain. Chamomile has been shown to induce the healing of the tissues by faster regeneration of damaged cells and higher production of mucous lining, thereby reducing the effects of acid exposure in heartburn. An anti-spasmodic agent is a compound, herb or medicine that suppresses muscle spasms. These muscle spasms are one of the major causative agents of pain and discomfort in various disorders including heartburn. Certain components of chamomile are shown to prevent smooth muscle spasms and reduce pain, which is why they are a part of the popular home remedy for stomach aches and other painful gastrointestinal tract problems. Oral administration of apigenin along with other compounds from chamomile such as bisabolol, dicycloether and to some extent coumerins have shown potent anti-spasmodic activity thus making chamomile an important natural therapy for reflux-induced pain. Spasms are also otherwise related with colic or abrupt pain the stomach usually due to acid reflux, most prevalent in children. Clinical trials on chamomile tea combined with other herbs such as liquorice, fennel, and balm mint showed that chamomile inclusion in this tea shortened the period of colic and stomach aches in children by more than 57%, making it an effective medicine for stomach aches. Ulcers are an important consequence of long term heartburns, causing enhanced damage and pain, progressing acid reflux to a later stage of gastro oesophageal reflux disease. In a study on commercial preparation of chamomile (called STW-5) along with other herbs such as bitter candy tuft, lemon balm leaf, caraway fruit, peppermint, milk thistle, liquorice root and celandine herb it was demonstrated that the preparation shoed a dose dependent reduction in the ulcers of the gut, majorly caused due to acid. It was also showed to reduce the activation of inflammatory molecules called leukotrines which exacerbate the ulcers. STW-5 not only inhibited and treated ulcers but also cured flatulence and hyperacidity by neutralizing the acid contents of the stomach, thereby lowering the symptoms of heartburn and future acid reflux . Chamomile is known to be used in various forms of its preparations. Chamomile tea is one of the most popular forms of its consumption and can be prepared either alone or in combination with other popular herbs depending on the usage. For example, for heartburn, chamomile tea along with other bitter heartburn relieving herbs such as fennel, liquorice, celandine, caraway and milk thistle can be consumed. Tea bags of chamomile are also available commercially in the market, containing either pure chamomile powder of blended with other above mentioned herbs. For maximum relief from heartburn, 1 to 3 cups of chamomile tea can be consumed every day, depending on the extent of acid reflux. Chamomile tincture can be prepared by adding one part of chamomile flower in four parts of water having 12% grain alcohol, which is used to correct stomach aches due to diarrhoea, menstrual cramps and acid reflux. Such tinctures also available commercially in the market with up to 50% of alcohol concentration with chamomile flowers submerged in the containers of the tincture. The user can then strain the tincture out of the container, which can be taken from 3-10 ml doses everyday depending on how much the reflux and pain is . Chamomile tablets and capsules are also widely available in the market over the counter that contains dried chamomile flower powder inside. These tablets and capsules can be taken according to the label instructions as they contain different concentrations of the herb depending on the manufacturer. In case of any doubt related to dosage, a doctor or the pharmacist should be contacted . Chamomile tea, oil and other supplements appear to be safe when taken orally. It can cause vomiting and stomach cramps when taken in large quantities. It can also cause an allergic reaction in people already allergic to anise, daisy, marigold, ragweed and similar herbs. Roman chamomile is likely unsafe when taken in pregnancy and breast feeding period. It is believed to cause miscarriages if taken at such time. Chamomile is one of the most popular and oldest traditional home remedies, used to treat upset stomach and heartburns. It is supposed to be safe when taken in appropriate amounts in people with no known allergies. Chamomile tea and oil taken daily can be an effective agent to prevent future heartburns and keeping the gut healthy. Heartburn / GERD in Infants : Should You be Concerned?